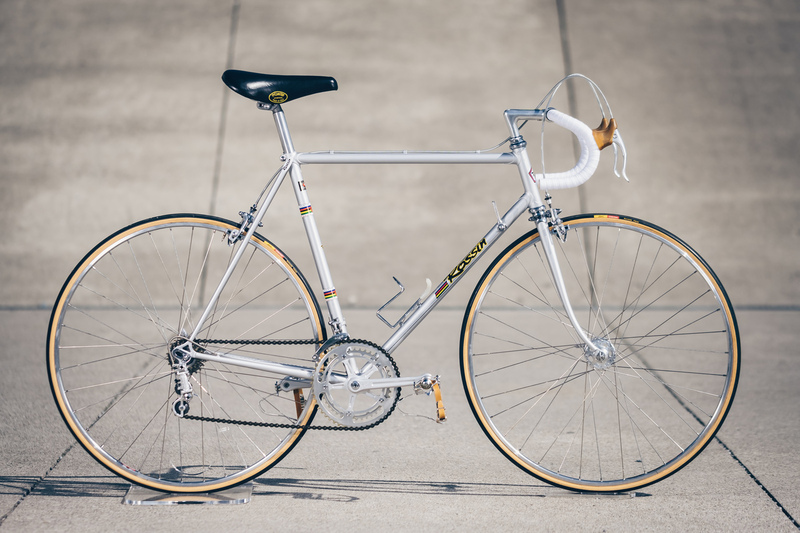 One of the very few prototypes ever made, definitely one of the rarest Rossin bicycles ever. Probably made in the late 80’s. Early carbon fiber construction, performed by gluing together the two fiber shell of the main triangle of the frame. 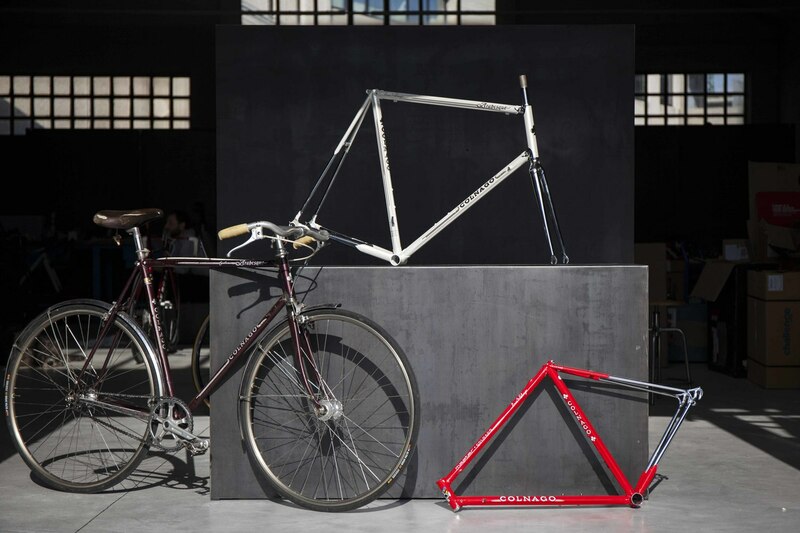 A steel rear triangle is then integrated into the body. 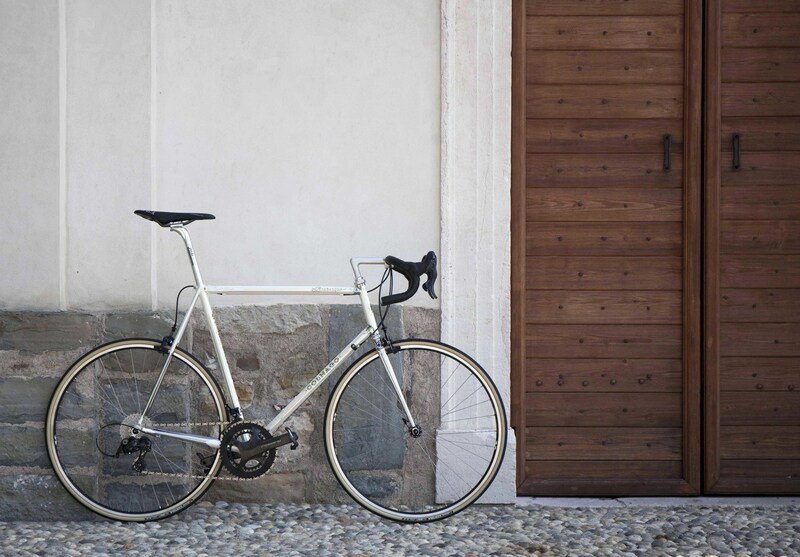 Designed for time trial competition and breaking time records in velodromes, equipped with a pair of 700 and 650 disc wheels and an aero fairing in the front. 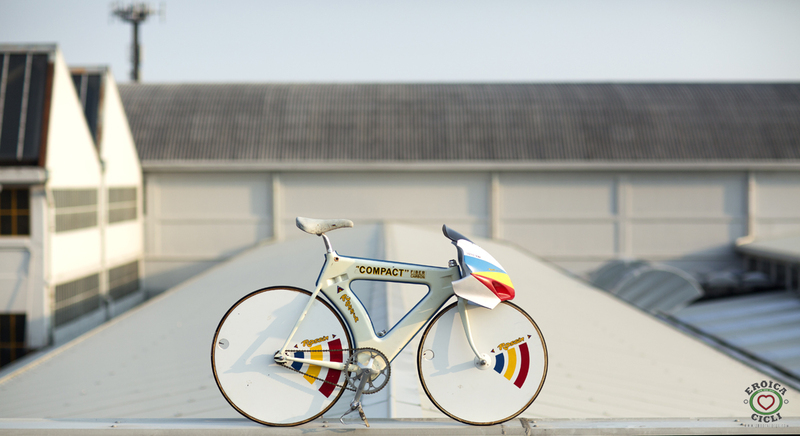 The stem is directly welded to the fork crown, and the handlebar was made and installed to fit inside the fairing. 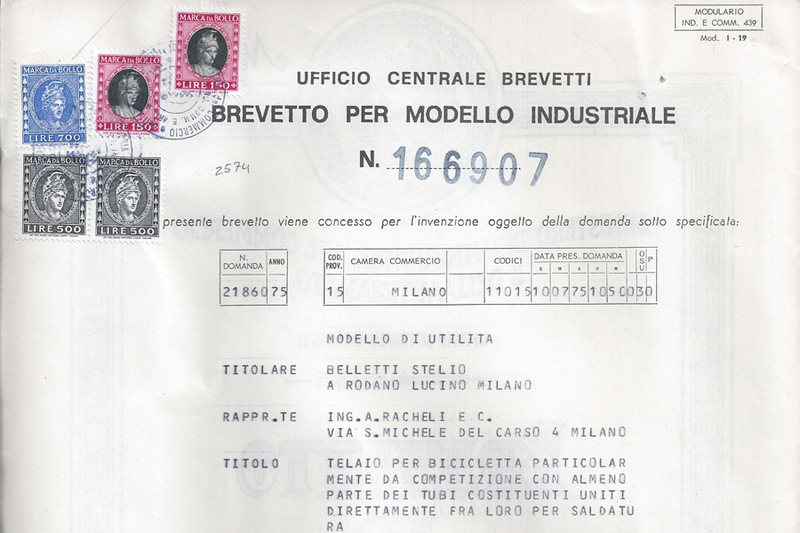 A nice piece of carbon fiber frame history, that we’re glad to be able to share it with you. 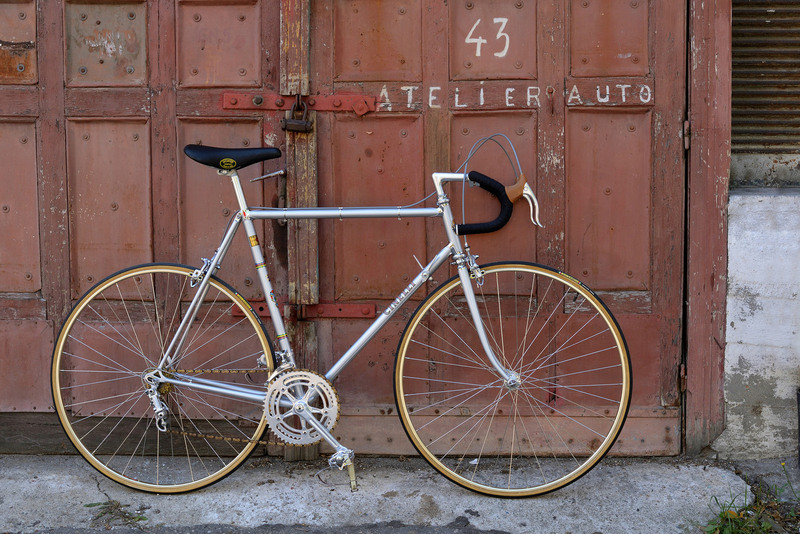 A bike rare enough to make it quite difficult in finding much details about it.